NORMAN — Oklahoma coach Bob Stoops and Ohio State coach Urban Meyer are in a fraternity unto themselves. They are the only active coaches at FBS schools with career winning percentages greater than .800. 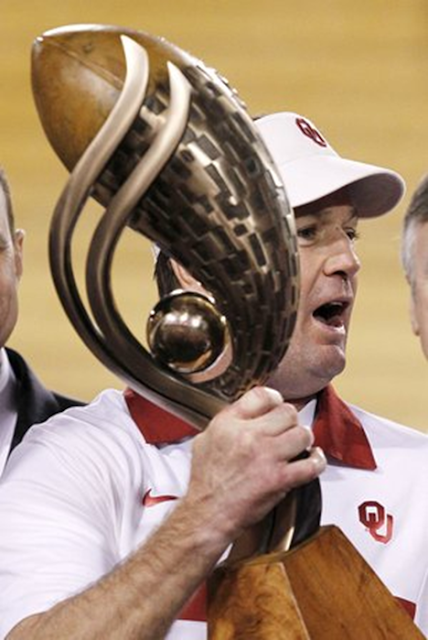 Stoops has a 139-34 career record (80.3 percent) during 13 seasons, and all of them have been at Oklahoma. Meyer is 104-23 during 10 seasons at Bowling Green, Utah and Florida. This will be his first season at Ohio State. OU also has another major claim to fame: it is the only FBS school with three coaches with career winning percentages at more than .800. Barry Switzer (157-29-4) finished his career with a .837. Winning percentage. Bud Wilikinson (145-29-4) had a .826. career winning percentage.